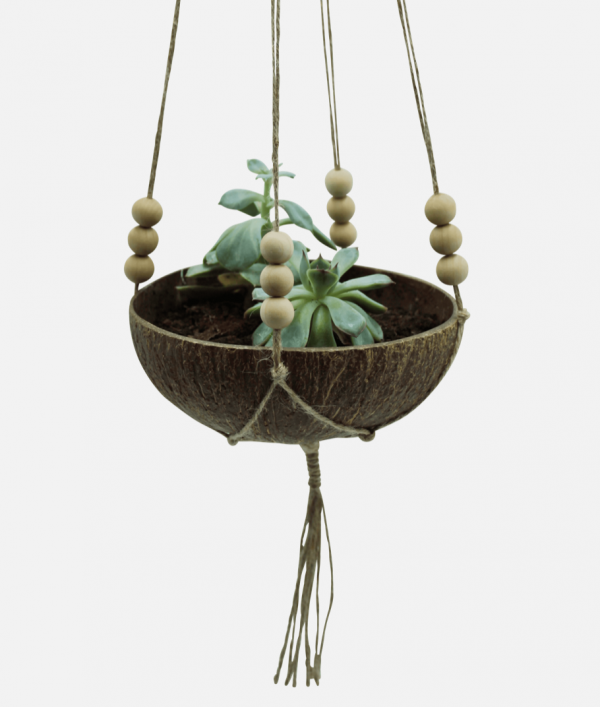 Our Hanging Plant Bowl includes one eco-friendly coconut bowl and a matching braided yarn with beads. 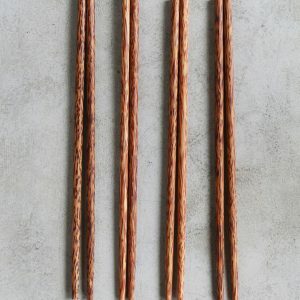 The yarn is 100% made of hemp and the beads are untreated wooden beads, so don’t contain pollutants either. 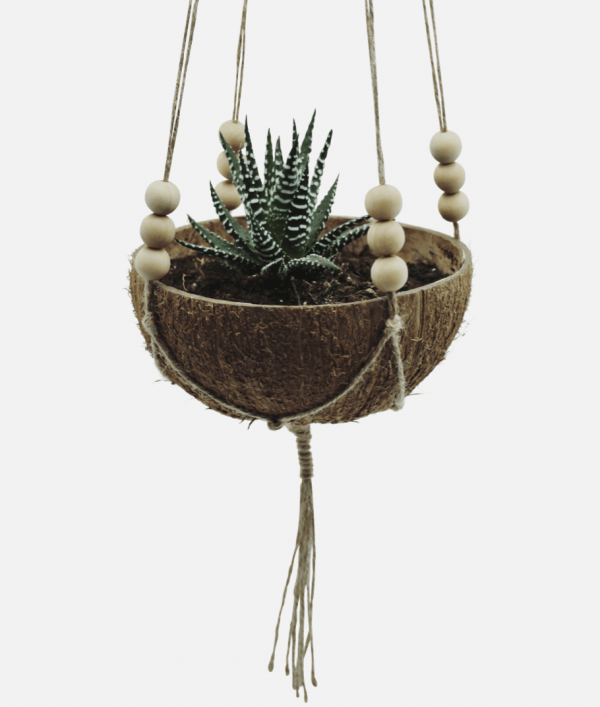 You can choose which of our coconut bowls fits best into your home and meets your desires. Every single Plant Bowl is handmade with love. 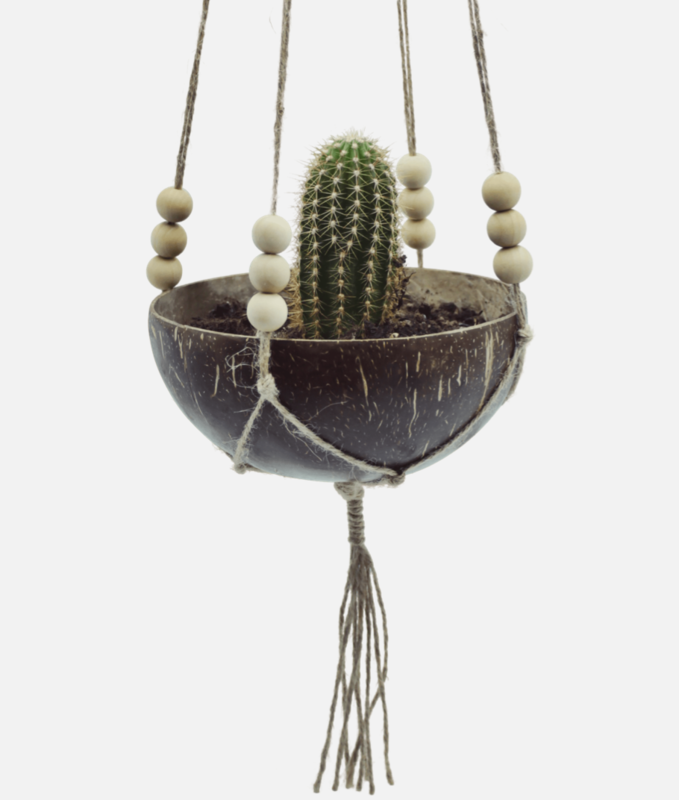 Small cacti and succulents suit the Hanging Plant Bowls perfectly, but there’s no limit to your creativity and plant obsession. 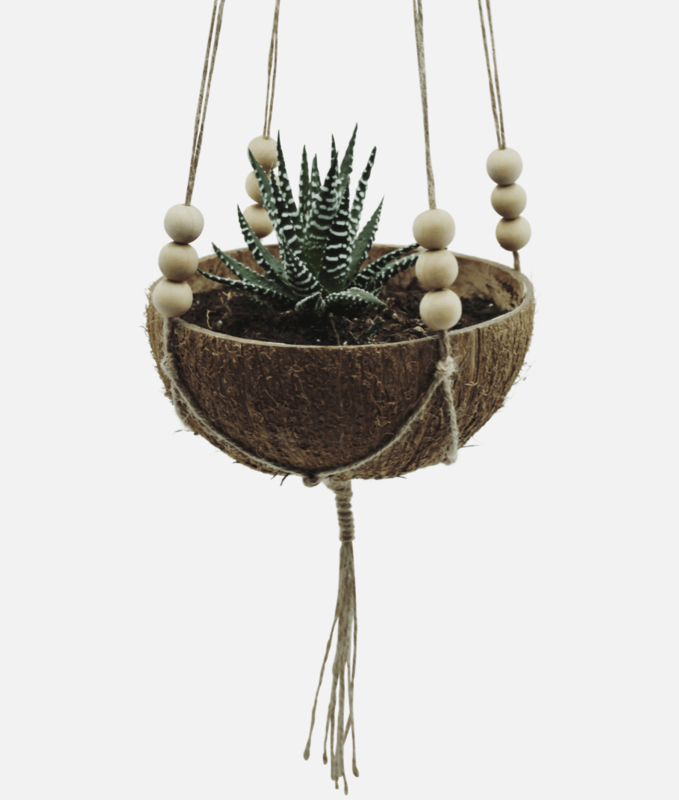 We recommend you to not water your plants in your Hanging Plant Bowl too much since coconut bowls are sensitive to water.